I found these wonderful little light covers yesterday. If I hadn’t been playing with pink flamingos the other day, I wouldn’t have recognized what they were. The rainbow santas and snowmen will probably be riding pink flamingos for Christmas at my house. In all the hustle and bustle of the Annual Santa-Snowman Convention, they hadn’t noticed that some of the santas and snowmen weren’t actually supposed to be blue. One santa froze to death and a snowman choked on his own carrot. Was it foul play? They decided to sweep it under the snowbank. I stumbled across a new word this morning and it’s a good one, so I thought I would make it the word of the day. inanition: noun 1. exhaustion from lack of nourishment; starvation. 2. lack of vigor; lethargy. May you never know inanition. Prompt: Write a poem about a place that you do not like. Use a crazy number of metaphors and similes. Give that place a costume, a cliche, a smell, a bon mot, an emotion, an inner life, a bunch of lies that lead to a truth, a bunch of truths that lead to a memory that isn’t quite true after all, give it a persona, a breath, a sound — what music would be in that place? what sounds would be just outside? What person comes in and goes out and what do they say? And…you can totally make something up. Remember, you have little obligation to truth. Go wild. I pay with my innermost secrets. As I continue to go through my scenes looking at value changes, I’m also going to highlight all the passages that show my MC’s inner life as recommended by James Scott Bell in Revision And Self-Editing (Write Great Fiction) ‘s Ultimate Revision Checklist. Is the flow of the interior life understandable and believable? Are there places that seem inconsistent? Are there gaps that need to be filled with other interior insights? Sharing lines will be fun today because I wrote a lot of Creepy Christmas flash fiction over the last few days. Great news! 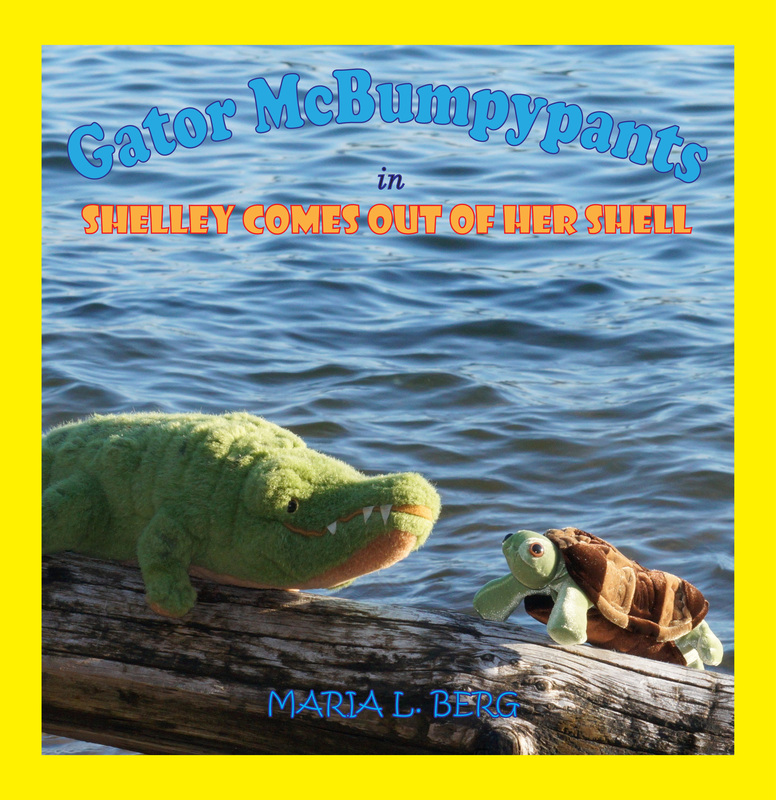 Gator McBumpypants in Shelley Comes Out Of Her Shell is now available for Kindle! I received these at a white elephant gift exchange. I think every tree needs some thoughtful pink flamingos. The reindeer became skittish as they got closer to Florida. A crew of pink flamingos were vying for their jobs and were always trying to show off for Santa. Trying not to kick a flamingo had become a hazard of delivering presents. Chapter 16 of Revision And Self-Editing (Write Great Fiction) by James Scott Bell is The Ultimate Revision Checklist. Starting tomorrow, I plan to begin following the checklist on my draft for Throwing Stones while also creating a Story Grid following the guidelines in The Story Grid: What Good Editors Know by Shawn Coyne. To prepare for this intense editing practice, today I’m going to follow Mr. Coyne’s suggestion and separate my novel into each scene, print out the scenes and staple each one into a short piece of writing. Then I’ll start a spreadsheet for Throwing Stones with a SCENE column, WORD COUNT column and a STORY EVENT column. Then I’ll be ready to dive in, first thing tomorrow. Since I didn’t find the prompt for #FlashFicHive yesterday, I thought I would combine it with the prompt for today. And that means, there will be pink flamingos. Oh yes, there will be pink flamingos. The pink flamingos lived in a bright place with cryptids. The dogs lived in a hairy place with pink flamingos. 1. The pink flamingos lived in a dark place with helicopters. 2. The tree lived in a fiery place with pink flamingos. So this place, with at least of tree, full of pink flamingos, dogs and cryptids could be dark and hairy but becomes bright when set on fire. Luckily the helicopters were already there, so they put out the fires quickly. I thought I would keep with today’s theme and look for some books on Pink Flamingos. The Pink Flamingo Murders by Elaine Viets and Pink Flamingos by Carlo Mari. BUGS BUNNY AND THE PINK FLAMINGOS (A Little Golden Book, 110-63) by Gina Inogoglia. In the mood for a Hawaiian Christmas? This Santa is. My sweetie and I agree he would know the words to Mele Kalikimaka, so we’re not sure what he’s looking at in this book. If you’d like to listen to the song here’s some Bing Crosby. Santa let his elf take the reins while he thumbed through his Hawaiian translations. He was pretty sure the man with the red face, shaking his fist and pointing at his broken chimney, wasn’t saying “Merry Christmas.”. Write a poem about/for/against/including Pantone’s color of the year for 2018: Ultra Violet. “Now Chris Kringle, what happened to your neck?” asked Mrs. Claus when her husband came in after his package deliveries wearing a thick brace. Make you yell, Get Down! Not ready to meet your due. This section of The Story Grid: What Good Editors Know by Shawn Coyne resonated with me. I wish I had read this earlier and added it to last month’s study of the Hero’s Journey. There is also an article on the Story Grid website called Stories Are About Change that covers this idea of examining The Kubler-Ross Change Curve in relation to your character arc. As you think about your Main Character going through these stages, do specific scenes come to mind? Is your main character’s psychological turmoil dramatic enough to create change in your character? Does your main character go through each of these eight stages? Could you add some scenes to show the progression through each stage more clearly? I certainly would like to finish a recent flash draft! Maybe I’ll tackle my convict with powers story. Don’t forget to read newspaper articles. Not just politics and world news, but the odd stories and obituaries. Throwing Stones was inspired by a news story. I was looking up facts about South Africa and came across a story about people throwing stones at fire fighters, stopping them from putting out a fire. This fascinated me. I wanted to know why anyone would do that, so I continued looking for stories about people throwing stones at fire fighters. I found examples all over the world. Then I widened my search to people throwing stones. There’s a history, a mythology, and a deep symbolism for throwing stones. I also found an idea for a science-fiction short story in the obituaries. The mysterious death of a hacker just before he was supposed to speak at a convention. There is a great resource on the web called The Google New Archive where you can see actual scans of old newspapers from around the world. It’s a treasure trove of stories. I talked about it last year in my post A great tool for research, inspiration and hours of fun. Give yourself a present and check it out. Today, I took pictures of funny ornaments on my Mother’s Christmas tree. Many of them were mine, or ones I had played with as a child. This rosy-cheeked dandy was totally getting his groove on. Harry put on his bow-tie and his best top hat. He grabbed his dancing cane, ready for a night on the town. Sadly, he had mistakenly put jumping beans in his stew and they kicked in at the same moment he arrived to meet his date. 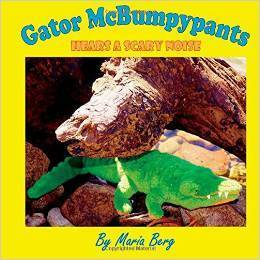 He jumped until his face was flushed and he was covered with sweat. He kept jumping when he was exhausted and had a stitch in his side and cramps in his legs. He only stopped jumping when he passed out and crumpled to the sidewalk. The beans kept jumping, making it look like something was trying to burst from Harry’s gut. Today’s prompt is from #dVerse poets. Write a poem that includes the word “groove” or a form of the word. The word must be within the body of the poem. For the darker odd duck. To make your own luck. The inciting incident of the beginning of your story. The inciting incident of the middle of your story. The inciting incident of the end of your story. A scene that progressively complicates the beginning of your story. A scene that progressively complicates the middle of your story. A scene that progressively complicates the end of your story. A scene that creates a crisis question at the beginning of your story. A scene that creates a crisis question in the middle of your story. A scene that creates a crisis question at the end of your story. A scene that climaxes the beginning of your story. A scene that climaxes the middle of your story. A scene that climaxes the end of your story. A scene that resolves the beginning of your story. A scene that resolves the middle of your story. A scene that resolves the end of your story. Today I went to a Christmas party where everyone read a Christmas poem or a verse. I printed out the very short stories and poems I’ve written so far this month and gave them to everyone. I read a couple of short stories and got some laughs. It felt good to look at the writing I’ve done so far this month compiled together. Don’t forget to read through your own writing. Review all the great work you’ve done so far this month. Paisley’s Christmas wish had come true. Shoes, just her size, growing in the trees. Her boyfriend died when a particularly sharp pump was allowed to over-ripen on the branch and fell into his head. But shoes! MoSt (Modesto-Stanislaus Poetry Center) 10th Annual New Year’s Poetry Challenge has begun. You can still sign up if you are interested. The first poem to write is a haiku of a minor holiday. Today’s prompt is to choose a piece of furniture and write a poem of appreciation or an ode to it. Now that we got rid of any chapters and large chunks of text that don’t move the story along, let’s take a look at chapter endings. My friend Christopher Bailey, author of The Crystal Key (Starjumper Legacy, Book 1) , The Vanishing Sun (Starjumper Legacy, Book 2) , The Plague of Dawn: The Plague of Dawn (Starjumper Legacy, Book 3) , Without Chance and Whisper knows how to keep me turning pages. When I read one of his books, I cannot put it down until the last page. When I asked him how he does it. He told me to take a look at my chapter endings. How do I leave my reader hanging, so they’ll have to keep reading? End sections and chapters at high points of uncompleted drama. End with questions still raised. Christopher Bailey wrote a post for Experience Writing last fall called Carving Through Writer’s Block. Give it a read for more of his good advice. The #satlines theme is Cracks or Breaks. The #SuperheroSat optional theme is Energy. Don’t forget to read author interviews. They can be inspiring and full of information about the craft. I went through a stage where I was very excited about making hard-covers for my paperback books. I must have made this one around this time of year because it definitely isn’t reflective of the book it covered, The Hobbit by J.R.R. Tolkien. The covers fell off of the books and I got rid of most of them. This one, however, has stayed with me in my box of craft supplies because I love the cover image, so I put some ribbon on the spine and hung it on the tree. Heidi ran downstairs in her nightdress. Her nose wrinkled reflexively, irritated by a smokey-rotten-cherry smell. She followed the smell out into the snow. She was shocked to see Santa with a ski pole, trudging to the next house. She tugged on the sleeve of his robe. It’s time for our third Two-for-Tuesday prompt. If you’re new to these challenges, you can pick either one prompt or the other. Or decide to do both. Your choice. Write a construction poem. Construction paper, construction hats, and so on. Write a deconstruction poem. Opposite of construction poem. running or moving lightly over a surface: lambent tongues of flame. dealing lightly and gracefully with a subject; brilliantly playful: lambent wit. softly bright or radiant: a lambent light. So we’ve read through our draft and what do we do first? Grab an axe and kill our darlings. I wish I had done this with my first novel; it would have saved me a lot of time. The first step in our editing process, after reading the draft, is removing everything that isn’t essential to the story. Make a new file for saving everything you’re about to cut and let’s get to work. The first question to ask is, does the story start in the right place? Many authors find that their story really gets going in the second chapter. Can you delete the first chapter? Perhaps put the most important part of Chapter One in as a flashback, memory or dialogue? Next, is there a subplot, or secondary/tertiary character that doesn’t add to the main plot? In one of my novels, I have a secondary character who a friend of mine likes so much, he wants to include him in his novel, like a cross-over. However, if I don’t tie him into the main plot better, he’ll be getting the axe. Where did the story lag? Where were the parts of your story that, if you weren’t the author, you would have put the book down? Get rid of them. Off they go to the chopped folder. After you’ve found chapters to chop, take that axe, or sledge hammer or excavator if you prefer, to any scenes, dialogue or other large chunks of text that are not essential. Enjoy your demolition! Soon comes the remodel. I own copies of Elf and Gremlins , so for today’s flash fiction challenge, I’m going to take the first line and a line or event from the middle of each film to come up with my story idea. I’ll most likely add an axe to stay with today’s theme. This should be fun! Poetry! Poetry is important reading for all writers. Are you reading from a poetry site, or do you have some poetry books you’re reading right now? Who is your favorite poet and why? In The Story Grid: What Good Editors Know by Shawn Coyne, he mentioned Chilean author Roberto Bolaño as an example of a literary author a publisher would be searching for. I haven’t read any of his work. I’m looking forward to diving into The Unknown University , one of his books of poetry. I also look forward to reading his novel The Savage Detectives: A Novel when I have finished the stack next to the bed. Barbara trusted the angel on the porch. When her stomach glowed turquoise, it meant the holy spirit had impregnated her, again. This morning, she had expected it. The strange lights in the sky last night and the strange, uncomfortable dream were almost exactly the same as last time. She only hoped that this time she had a baby, instead of that octopus-praying-mantis-like creature that had slithered out of her and crawled away without so much as a second look. I want to thank Colette Coen for her blog post informing about Creative Writing Ink Writing Prompts. Creative Writing Ink provides beautiful photo-prompts weekly and invites you to link your stories to their page to enter a free monthly contest. They also have listings for other writing competitions! I’m beginning to think my house is trying to drown me. It is determined to fill up with water. Last week (it is hard to believe I was still doing NaNoWriMo just last week) the bottom of my hot water tank started pouring water all over the place filling the utility room floor and pouring into the carpet in the hallway. Yesterday, I walked into standing water in my bathroom. The hose behind the toilet ruptured and was spraying a stream of water sideways with a curious hissing sound. If I had gone on vacation, starting last week, I would have come home to a house full of water. Thus, today’s theme. Today’s prompt: The image from Creative Writing Ink prompt from October 5th goes well with today’s theme. Write a poem inspired by the image or the theme A House Full Of Water. Finding the vacuum that nature abhors. Today, I will finish reading through my draft. I also have a few books on editing to pick up from the library, so there should be a lot to work with tomorrow. I think I’ll stick with today’s theme–A House Full Of Water–for today’s flash fiction story. The Oblique Strategy gave me an idea.